We look forward to sharing Sharon’s School of Dance & Gymnastics with you. Click to learn more or register now! Refer to the schedule that was sent home with your dancer. The Gym Expo is a wonderful opportunity for all of our gymnasts to experience an actual gymnastics meet. SSD&G Thanks You For 40 Years of Support! Thank you to the hundreds of families who have been apart of our program and helped shaped our organization to where we are today. Learn more about the wide variety of dance genres we offer, all taught by experienced dance instructors! Our facility includes a fully equipped gymnastic center. Click below to learn more about our classes! 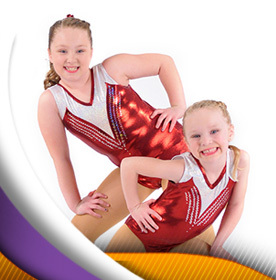 Sharon’s School of Dance and Gymnastics is a premier dance and gymnastics facility in Indiana, Pennsylvania. The cornerstone of our program centers on highly effective teaching in conjunction with a fun and safe learning environment. We pride ourselves in helping your children reach their full potential! We look forward to many hours of learning, dancing, performing, laughing and growing together! PASSION: We look forward to teaching your children and sharing our passion with them. FLEXIBILITY: We are confident in our ability to provide you with many class and scheduling options for you and your child’s individual needs. PATIENCE: Instructors are sensitive to your child's individual needs and learning styles. We do our best to accommodate each and every student. PROFESSIONALISM: SSD&G has been designed with the utmost professionalism in mind for your child’s dance and gymnastics education. We believe in your children and their dreams. We are proud to be a part of their future -- Our future! Inspiring success...our students learn step-by-step in a non-threatening and nurturing environment. They can progress at their own pace! Under the supervision of our experienced instructors, they learn to tackle challenges, overcome fears, and express themselves confidently, all while having fun! Our age-specific curriculum is delivered in weekly lesson plans to build skills sequentially. All of our programs are non-competitive so that each child can master new skills in a positive environment. We instill in children the desire to DO their best, without the need to always BE the best! © 2019 Sharon's School of Dance & Gymnastics. 496 Ben Franklin Road South, Indiana, PA 15701. All Rights Reserved.